The Career of Sri Lanka's greatest bowler Muttiah Muralitharan has came to end with the defeat in 2011 World Cup final. After defeat Sri Lanka's Captain Kumar Sangakara is also thinking about taking retirement from International Cricket. 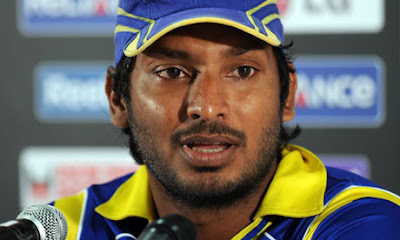 Sangakara talked to media on Sunday where he said that in next few decisions i will make decision about future of my career. Sangakara was disappointed because Sri Lanka lost two consecutive World Cup finals in 2007 and 2011 and both the times he was the Captain.